The November Kaffe Fassett Mystery Kits are ready to pick up in-store if that is your preference. For those receiving by mail, kits were mailed out today! Fabric needed to complete the Mystery Quilt, plus binding. 12x6 packaging insert and calendar of events. Folded finished 5x7 color card with final instructions for completing that month as well as putting together the entire quilt and solving the Mystery! October Kaffe Fassett Mystery Kits are ready to pick up in-store if that is your preference. For those receiving by mail, kits were mailed out on October 15. September Kaffe Fasset kits are available to pick up in-store as of late yesterday. Also, kits have been shipped out as of yesterday and today. Sorry this update is late! July kits have been shipped. Available for pickup in-store if that's your method of delivery. Kits have arrived from the manufacturer and were shipped out! Free Spirit announced yesterday that due to their continued transition to the new company and facility, kits will be shipping from their warehouse sometime next week. They apologize for the inconvenience. Kits arrived from the manufacturer late-ish yesterday, and are ready for in-store pickup if you're picking up in-store! All others are packed up and mailing out today! Free Spirit is transitioning to their new company (Jaftex) this month and next, therefore some shops received their kits on time, and some received them late. Thanks in advance for understanding. We wish Free Spirit the very best! We are expecting our first shipment of mystery quilt kits later this month, and estimate they will be shipped out on or around March 25. We're so excited to receive the kits and get them out to you! 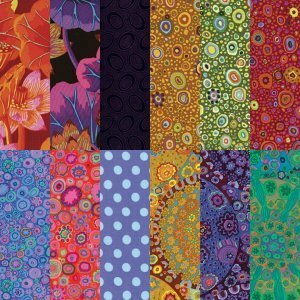 Excellent news - Jaftex Corporation plans to acquire Free Spirit fabrics. We're thrilled that the talented group from Free Spirit will continue on. 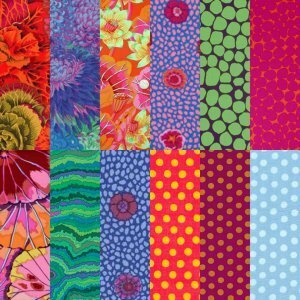 It is with great sadness that we learned that Free Spirit Fabrics and Westminster Fabrics will be going out of business in May. We learned yesterday that this will NOT impact our shipments of Mystery Quilts. If you signed up, you will still be participating! Your first shipment will be in March, then monthly thereafter thru December, 2018 - the final month of the Mystery Quilt. Some have asked if we will be accelerating customer payments, or making everyone pay all at once. No, we will not be requiring that. However you are paying, or have paid, will not change. We truly thank everyone for their patience as we navigate through the changes and updates. We're really looking forward to beginning the mystery with everyone! We are completely sold out of all colorways. 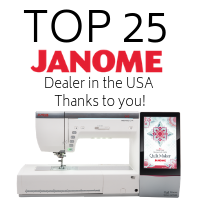 Due to overwhelming response, the manufacturer contacted us on January 10 to inform us that orders must be placed by end of day, then the Mystery Quilt enrollment would be closed. Therefore we were unable to receive any Dark that we ordered from manufacturer. We greatly apologize for this inconvenience. This is the kick-off month! First month will come in the clamshell packaging. Includes 12x6 packaging insert with details outlining the program as well as a calendar of monthly give-aways managed by FreeSpirit. Includes 5x7 color card of first month’s instructions. 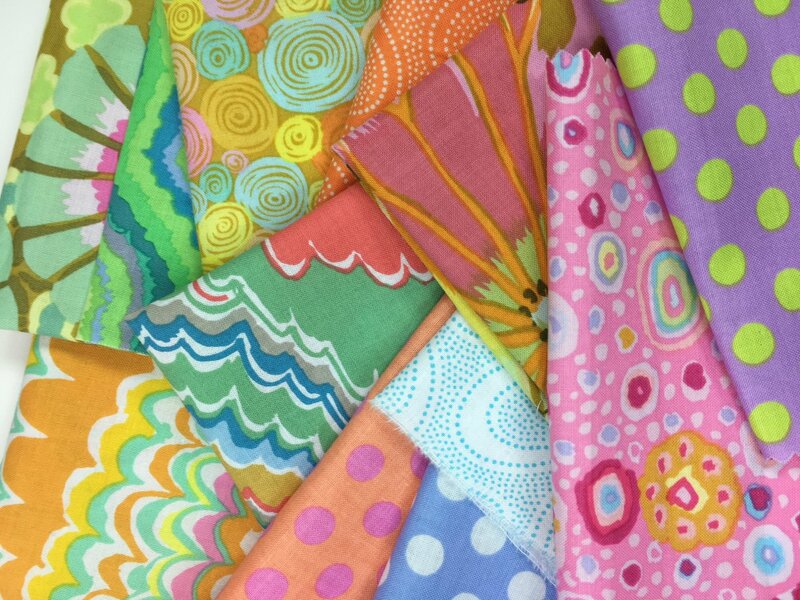 Includes a freebie 10 piece Mystery Kaffe Fat Quarter – just as a thank you for playing in the Mystery Quilt program! Includes 12x6 packaging insert and calendar of events each month. Includes 5x7 color card with sewing instructions. Includes 12x6 packaging insert and calendar of events. Includes folded finished 5x7 color card with final instructions for completing that month as well as putting together the entire quilt and solving the Mystery! Backing fabric is not included. 2-5/8 yards needed of 108” wide fabric. Orders are final and may not be cancelled. $19.95 / month plus state tax if Maine resident. Shipping (available within U.S. only) is $4.95 / month.